A Highland Park man arrested on Saturday night had his cell phone rolling during his interaction with police, posted it on social media and it has gone viral worldwide and in news coverage. 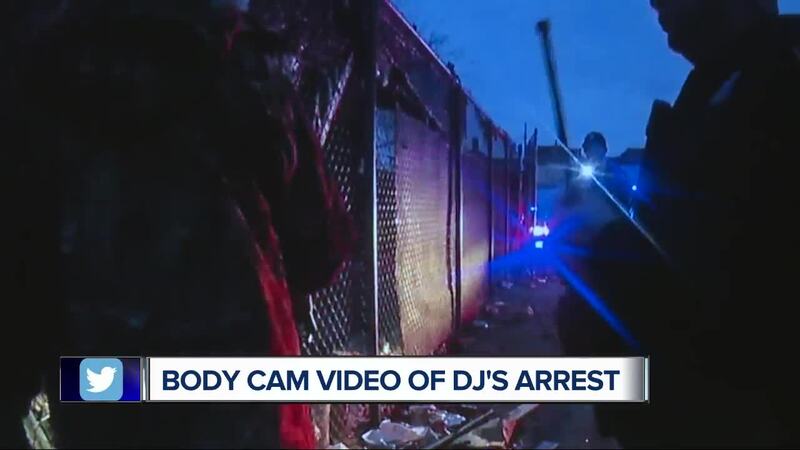 This has prompted Police Chief Chester Logan to release body cam video of the same incident “to give a different perspective.” The man in the confrontation with police is Kenny Dixon, Jr. also known as DJ Moodymann. HIGHLAND PARK, Mich. (WXYZ) — A Highland Park man arrested on Saturday night had his cell phone rolling during his interaction with police, posted it on social media and it has gone viral worldwide and in news coverage. The man in the confrontation with police is Kenny Dixon, Jr. also known as DJ Moodymann. The police video runs 8 minutes. It shows police approaching a van. The chief says they thought someone was doing a break in or stripping the building. You can see a man inside with his cell phone rolling. One officer on the video says the man inside may have a gun. He tells police he’s on his own property. They ask him to come out and talk to a Sergeant. He doesn’t. They ask him to unlock the doors. He doesn’t. It gets heated. He does come out and he’s asked why he didn’t declare he had a gun and a CPL license. They find a handgun in the van. Police Chief Logan says Dixon was taken into custody, given several tickets including for disorderly conduct and released. The chief says they’ve talked on the phone and Dixon apologized. The Chief says both sides had a bad day and his investigation is continuing.